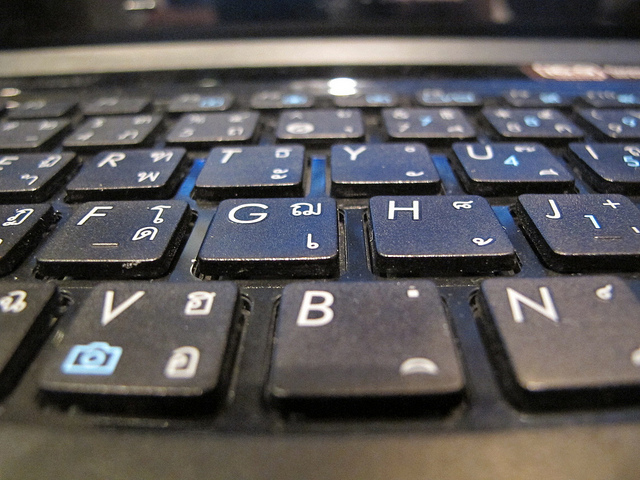 Colorado federal authorities have decrypted a laptop seized from a bank-fraud defendant, mooting a judge’s order that the defendant unlock the hard drive so the government could use its contents as evidence against her. The development ends a contentious legal showdown over whether forcing a defendant to decrypt a laptop is a breach of the Fifth Amendment right against compelled self incrimination. The authorities seized the encrypted Toshiba laptop from defendant Ramona Fricosu in 2010 with valid court warrants while investigating alleged mortgage fraud, and demanded she decrypt it. Colorado U.S. District Judge Robert Blackburn ordered the woman in January to decrypt the laptop by the end of February. The judge refused to stay his decision to allow Fricosu time to appeal. “They must have used or found successful one of the passwords the co-defendant provided them,” Fricosu’s attorney, Philip Dubois, said in a telephone interview Wednesday. He said the authorities delivered to him Wednesday a copy of the information they discovered on the drive. Dubois said he has not examined it. The development comes a week after a federal appeals court ruled in a separate case that forcing a criminal suspect to decrypt hard drives so their contents can be used by prosecutors is a breach of the Fifth Amendment right against compelled self-incrimination. It was the nation’s first appellate court to issue such a finding. The Supreme Court has never dealt directly with the issue. The decision by the 11th U.S. Circuit Court of Appeals said that an encrypted hard drive is akin to a combination to a safe, and is off limits, because compelling the unlocking of either of them is the equivalent of forcing testimony. Judge Blackburn, however, was not legally bound to follow that precedent, because he sits in the circuit covered by the 10th U.S. Circuit Court of Appeals, which had refused to review his decision. The woman and her ex-husband co-defendant, Scott Whatcott, are accused of filing fraudulent documents to obtain home titles and selling the houses without paying the mortgage. Dubois believes Whatcott supplied the password to the police. Dubois had suggested in an earlier interview that Fricosu may have forgotten the password, and faced potential contempt charges had she not decrypted the hard drive by Wednesday. AUCKLAND, New Zealand – Kim Dotcom remains free on bail after United States authorities lost an appeal of an earlier decision by a New Zealand court to grant him bail. Justice Brewer dismissed the appeal, which was put forward by New Zealand Crown lawyers on behalf of the U.S. government, in the Auckland High Court late Wednesday afternoon, local time. Dotcom, the outsized founder of Megaupload and associated file locker sites, is accused of masterminding a business that made more than $100 million by charging users to watch and download copyrighted material. Megaupload’s lawyers say the site complied with U.S. copyright laws, despite being based in Hong Kong, and that like any other internet company it is not responsible for policing its own site for copyright violations. New Zealand police raided Dotcom’s mansion in New Zealand in January, acting on warrants issued by the United States for conspiracy to commit money laundering and criminal copyright infringement. Dotcom will remain free, though tracked via an electronic bracelet, while he awaits the hearing that will decide if he and four Megaupload associates should be extradited to the U.S. The hearing is expected to take place in August this year. 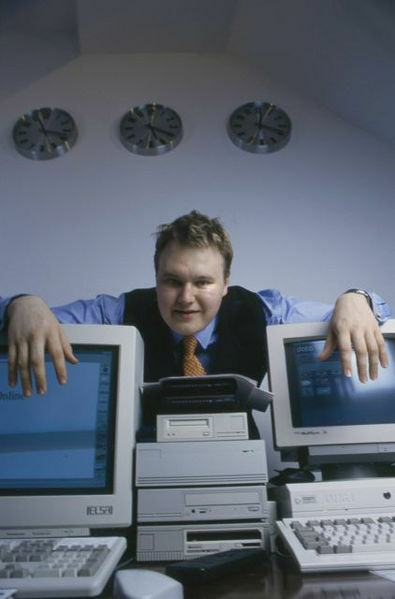 If the U.S. Justice Department had won the appeal, Dotcom would have faced a further six months in jail until the extradition hearing. Dotcom is also banned from using the internet as a condition of his bail. According to Justice Brewer’s ruling, if Dotcom were to be held in prison for the next six months, the flight risk would have to be real. U.S. authorities alleged that Dotcom has undeclared funds stashed away, and that these could be used to flee the country. However, Justice Brewer said that while he could not be certain that Dotcom would not leave New Zealand, he wasn’t required to be satisfied of that to give the Megaupload millionaire bail. In a new twist, the pregnant wife of Dotcom, Mona, is also under investigation by U.S. authorities. New Zealand Crown lawyers acting for the U.S. have received an application alleging that Mona Dotcom may have been involved in the company. They expect more information to arrive overnight from U.S. prosecutors. Whether or not this will lead to the arrest of Mona Dotcom is unclear at this stage. Earlier on, Dotcom’s lawyers requested that some $185,000 a month of his seized funds be released to cover living expenses. These would be used for expenses including staff such as nannies, bodyguards, and a personal assistant. The prosecution, however, would only concede to roughly $6,700 a month. Officers in Argentina, Chile, Colombia and Spain worked together in “Operation Unmask,” seizing 250 pieces of equipment, including phones, during searches of 40 locations in 15 cities, according to INTERPOL. The arrestees were between the ages of 17 and 40, but their names and locations were not released. The arrests come as Anonymous has become a powerful online force. On Monday, WikiLeaks sprang back to life, publishing e-mails from a controversial private intelligence firm known as Stratfor that were obtained by Anonymous hackers. 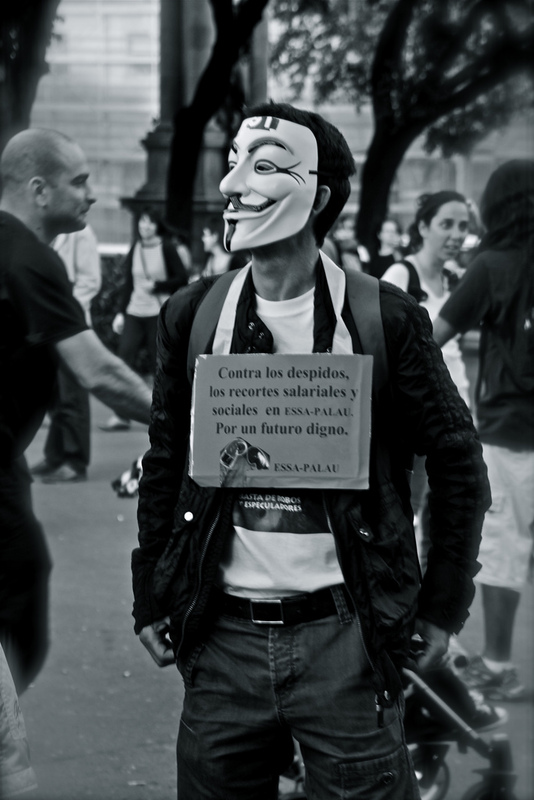 Anonymous’ recent activities have ranged from coordinating protests against ACTA in Europe and supporting the Arab Spring with online logistics to conducting regularly scheduled Friday hacks intended to embarrass law enforcement and corporations. The interpol.int website was down for some time Tuesday, after a prominent Spanish language account associated with Anonymous called for a DDoS attack on the site on Twitter. Another Anonymous account declared “Tango Down,” the anon term signaling a website has been taken offline, at 5:43 p.m. EST. As of the time of this writing, the INTERPOL website is responding again, but slowly. Google has pledged to pay up to $1 million in several cash awards to anyone who hacks its Chrome browser during a challenge next week. “We require each set of exploit bugs to be reliable, fully functional end to end, disjoint, of critical impact, present in the latest versions and genuinely ’0-day,’ i.e. not known to us or previously shared with third parties,” Google wrote on its blog. Google’s hack challenge will run alongside the $15,000 Pwn2Own contest that runs each year at CanSecWest, which challenges researchers to exploit vulnerabilities in fully patched browsers and other software. Last year, Google offered a $20,000 bounty, on top of the base $15,000 Pwn2Own prize, for anyone who successfully downed Chrome, but there were no takers. Chrome is currently the only browser eligible for the Pwn2Own contest that has never been brought down, Ars Technica notes. Contestants have indicated that difficulties bypassing Google’s security sandbox is the reason they’ve avoided the browser and focused on the Internet Explorer and Safari browsers instead.